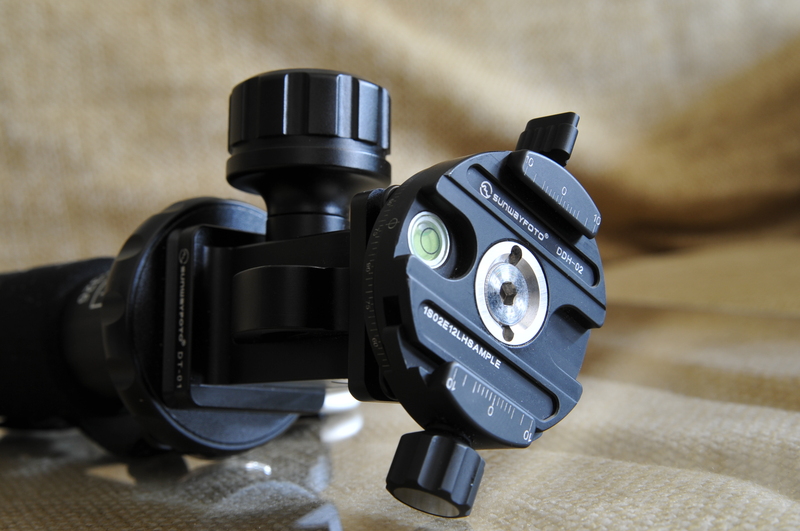 Quick Report for the impatient: Pro-grade quality and handling in a very compact package at a very competitive price. The unique design of the DDH-02 won me over in a hurry. Almost any monopod shooter will appreciate the usability, quality and value of the DT-01 monopod head, while pano shooters or folks with larger lenses will love the small size but great shooting flexibility and handling offered by the DDH-02. These two products turned my monopod from something I was dreading to use into an essential element of my kit, enabling some of my favorite shots from my recent trips to Asia and Europe. Highly recommended. If you read my preview, you know my latest gadget is a monopod. I got it knowing I’d be spending two weeks in Europe in a bunch of very old, very dark buildings, and I really wanted to be able to take photographs without using a flash. Even if I wasn’t of the opinion that flashes ruin the experience for everyone in these kinds of places, flash is generally frowned upon and most often isn’t allowed at all. I’m usually an available-light guy anyway. Unfortunately, tripods are also generally not allowed, either. Monopods, on the other hand, seem to be acceptable in lots of places, either by policy, indifference or indecision. The only exceptions to this in my travels were the roof of the Mori building in Tokyo and Versailles in France. Neither made much sense since I saw lots of folks with canes, walking sticks and other things directly similar to my monopod, but whatever. When I tried a monopod for the first time, bolting the camera directly to the top of the monopod immediately raised the “fiddly flag” – I had to tilt the whole thing to adjust my field of view, and it was clear right away that this setup wasn’t going to work for me. 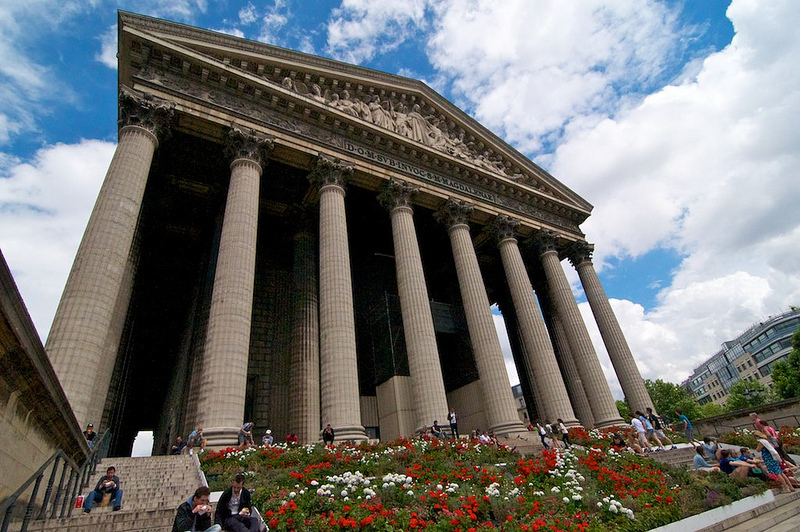 I knew I’d be seeing a lot of domed churches and shooting with very wide lenses. I’m not enough of a contortionist to make that happen with a monopod alone, plus the stability benefit deteriorates quickly as the angles get extreme. The L-bracket on my camera and the foot on my long lens have threaded holes for mounting to a tripod or monopod, but on top of the angle and handling limitations, who wants to deal with screwing and un-screwing them all the time?? 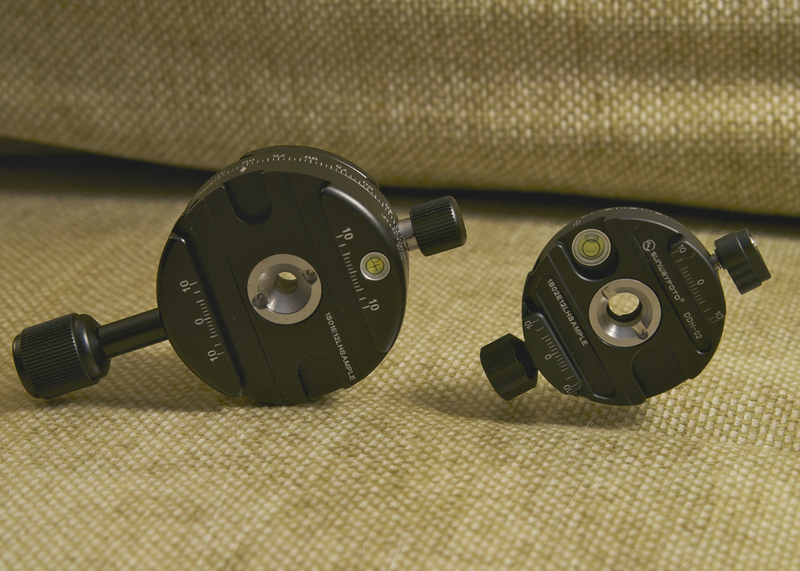 I figured my Arca-Swiss plates would give me the same benefit here they do on my tripod – easy and quick mount/un-mount. Of course I knew about the RRS MH-01 head, but for something I thought would see only occasional use, it seemed like a significant investment. I’d seen similar, less expensive offerings at CES, including one from Sunwayfoto – the DT-01, so I began investigating. …until I started looking at the monopod heads. As opposed to a ball head, a monopod head swivels on a single axis. 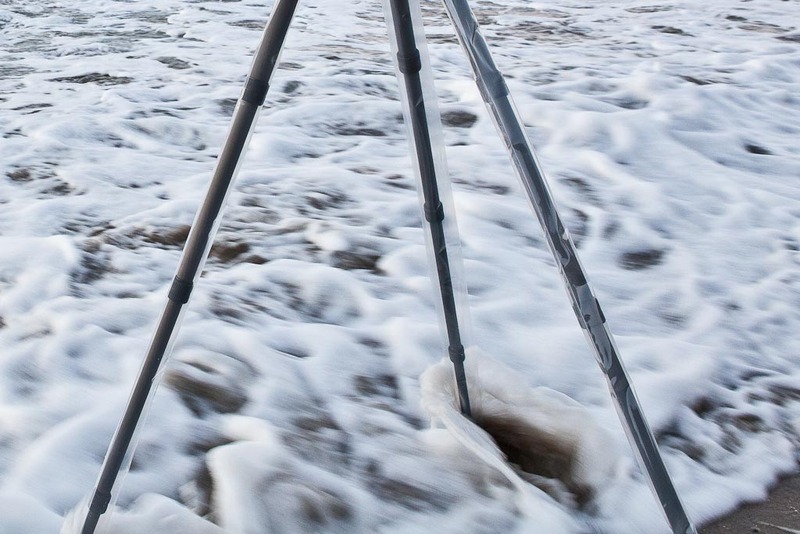 This gives you the ability to easily change the angle of the camera relative to the monopod leg (either up/down or a sideways angle), and lock it in for full monopod stability with much greater flexibility. Adding an Arca-Swiss plate to the mix means you can attach/detach very quickly, but it also means one other thing: you have to pick which direction the mount faces. This isn’t a problem unless you’re using a lens with a foot, because the plates for the foot run at a perpendicular angle to the plates for the body. That means if you want the same kind of angle adjustment (usually up/down) for body and lens, you really have only three options. Just use the camera mount: This is inherently less stable. 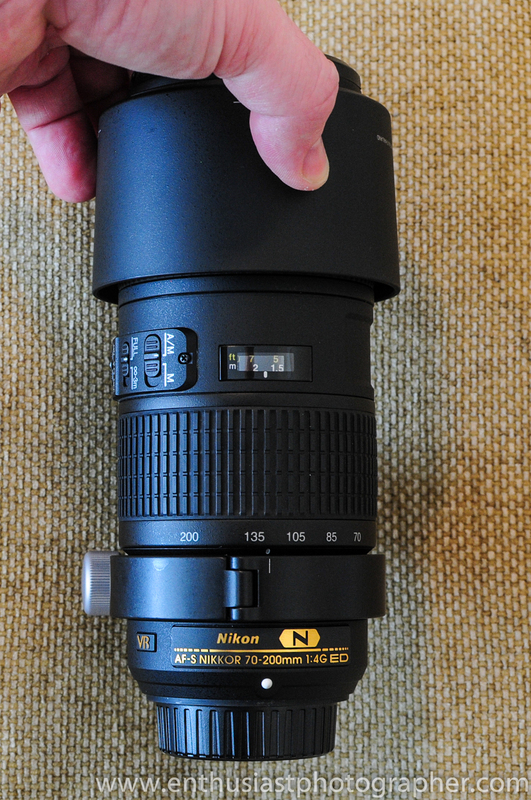 The reason the big lenses have feet is to allow you have a balanced setup for better photos. Hanging a huge lens off the body with this setup is not only going to be less stable, it is very awkward to handle. This is a possible option, but not really a workable one. Use a hex key to move the mount 90 degrees when you want to use the long lens: To say this isn’t convenient is an understatement, and it is even worse when you’re on vacation with your lovely and generally patient spouse. Exploring the boundaries of that patience isn’t something I want to do, especially on vacation. It takes less than 30 seconds to change the direction of the plate, but that isn’t going to work if you do it a lot, and might cost you the shot if you need to do it fast. Get a head that pans or rotates: These give you complete flexibility and speed. The only downsides are price and bulk. The first two options just weren’t going to work for me. 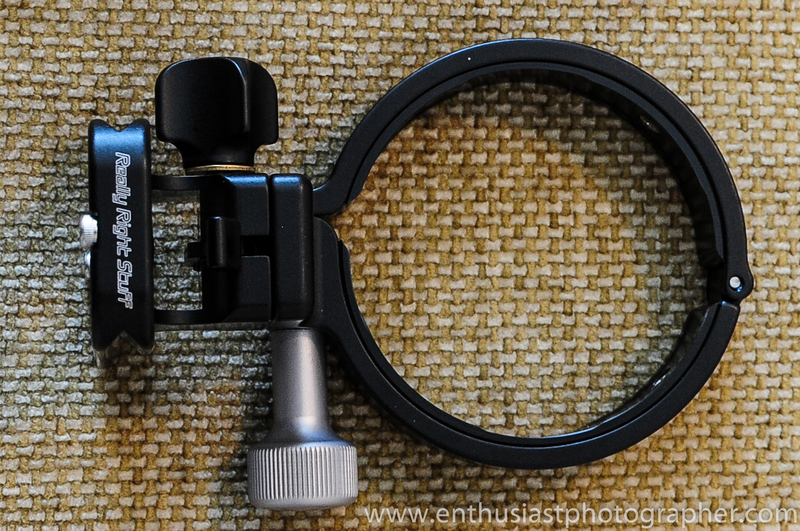 Then Winnie from Sunwayfoto suggested I look at their new DDH-02 panning clamp. I’d seen it on their site, but was worried it was too small. I really thought the larger and more robust DDH-01 was a better choice. Winnie surprised me by offering to send three options to me for review: the standard clamp (the DT-01 can be purchased with no clamp or a standard screw-type 50mm head), the DDH01 I (thought I) wanted and the DDH-02. You can read my initial thoughts on all three and see lots of photos in my preview review – let’s get to the review of what I actually took around the world with me – the DT-01 with the DDH-02 on top. The DT-01 is a pretty simple product. A large, all-metal knob with moderate knurling (bumps :)) for grip. A single beefy swivel rail that allows for 180 degrees of angle. (the RRS and Sirui heads have two rails, which seems more complicated and more likely to get bent to me, but is likely just a design choice). There are degree markings on the head with major and minor notches, but there are no numeric values, which didn’t bother me at all. 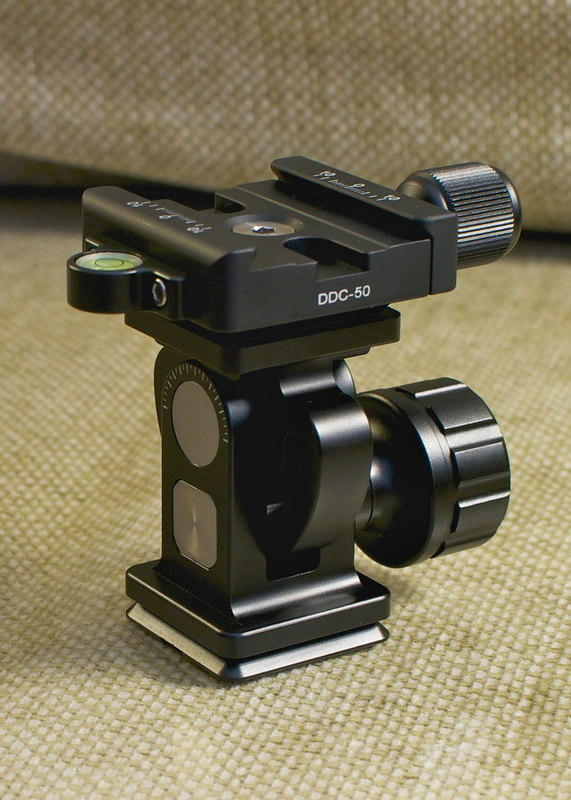 The DT-01 is dovetailed at the base and top mount for compatibility with Arca-Swiss clamps. This is useful when using the DT-01 in some fairly exotic head setups, but mainly is a big weight-saver for most of us. There is a DT-02 that is essentially the same head with a panning base, which is great for very large lenses, but too much bulk for me. The DDH-02 is a unique product in the market today. The best thing about it is that it is extremely small and light. As I was hauling around a lot of gear through Beijing, Tokyo, Kamakura and lots of Europe, any reduction in carry-weight was a welcome thing. It has index marks from 0° to 90° and back around the full circumference of the head. There is a bubble level integrated into the base plate. The clamp is a screw-type clamp and the clamp rails themselves are marked on each side with the center and offset markings up to 10mm on each side of center. The screw-knob is all metal and has deep knurling to ensure easy grip. The panning function is secured with a metal flip-clamp: turn it left to unlock the very-smooth panning. Flip it a bit more than 180° to the right to lock the panning motion. This means you have a very positive “down” push to secure head, and the hold is extremely tight. 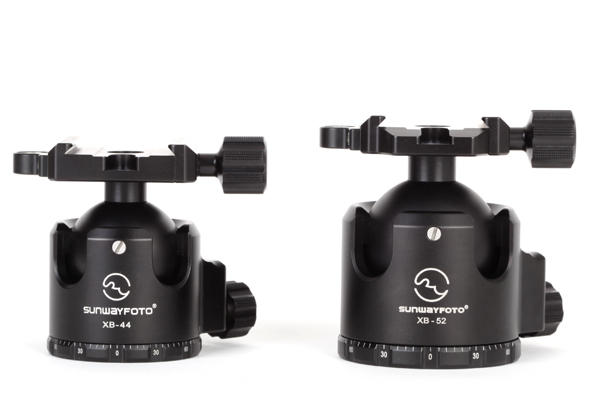 Every aspect of the DDH-02 points to thoughtful and original design on the part of Sunwayfoto. Smooth, simple and solid come to mind for both products. Full lock to fully unlocked is about a half-turn on the large knob of the DT-01. There is no slop in the DT-01 – even when the knob is fully open the head won’t fall under it’s own weight. The DDH-02 is designed very well. 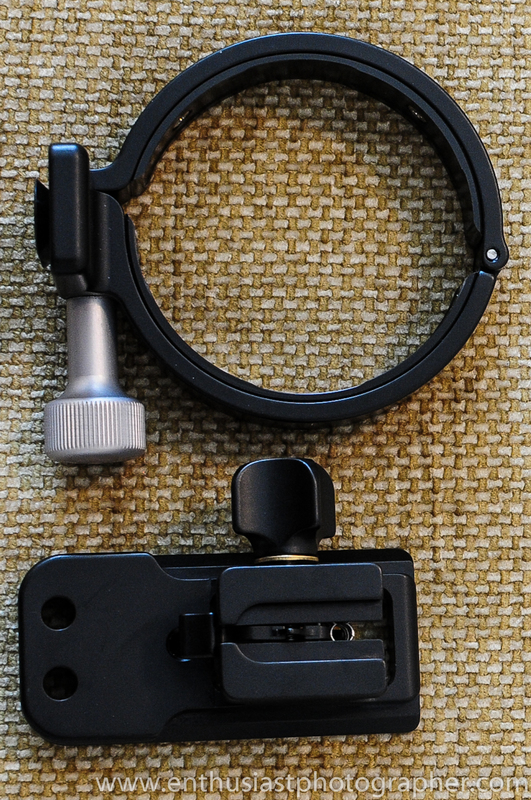 Since the knobs are generally going to be hidden under the camera while you’re using the clamp, the round knob of the clamp vs. the tear-drop shape of the panning knob are very intuitive. Switching from the body plate to the big lens and back was almost invisible – it was fast and easy. Flip the panning knob open, rotate, flip the panning knob to lock, done. I guess the only thing I can find to criticize at all in either product is I wish the knurling on the knob of the DT-01 was slightly deeper. It is almost exactly the same size as the knob on my XB-44, but the channels are a bit shallower and it lacks the textured surfaces. This is picking nits, since not once in any of the sweaty old buildings did I slip while handling the DT-01, but I do think it would be a useful improvement. I was a little worried that the clamp rails on the DDH-02 weren’t beefy enough to securely and stably hold my body with the large 80-200 lens. 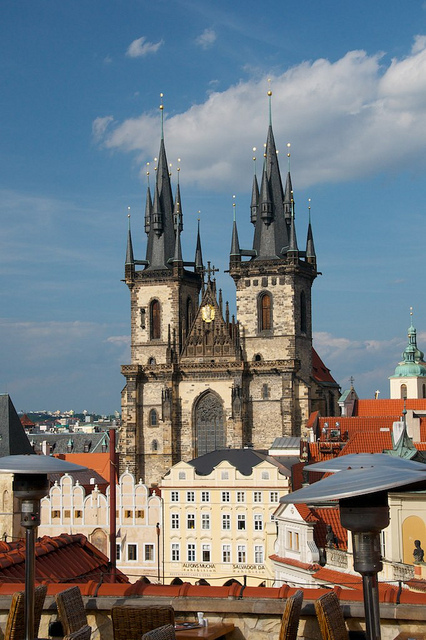 This proved to be unfounded – the whole platform is very solid. 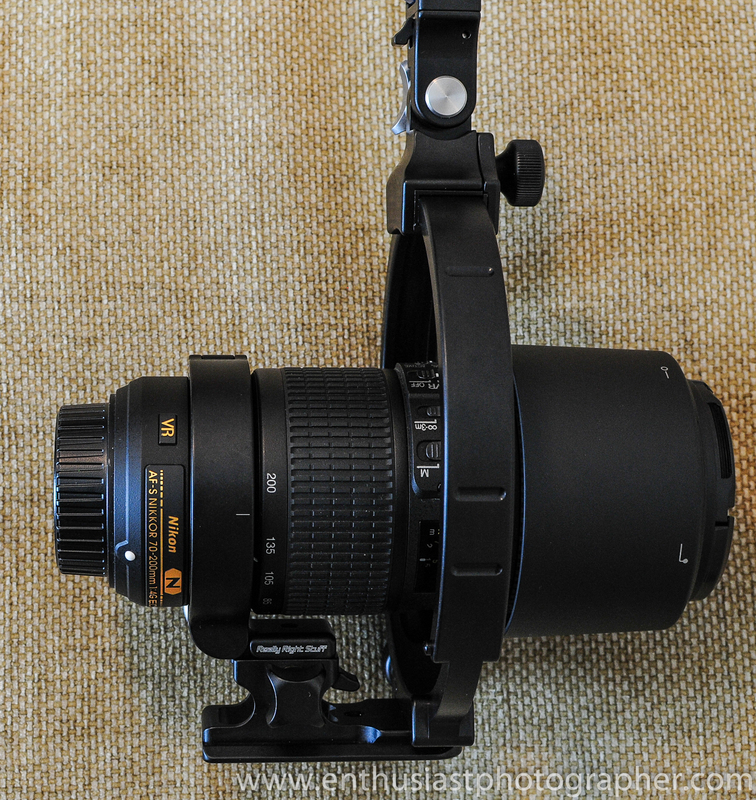 If I was using huge lenses, I’d go with the bigger model with the built-in panning base and/or the beefier DDH-01. 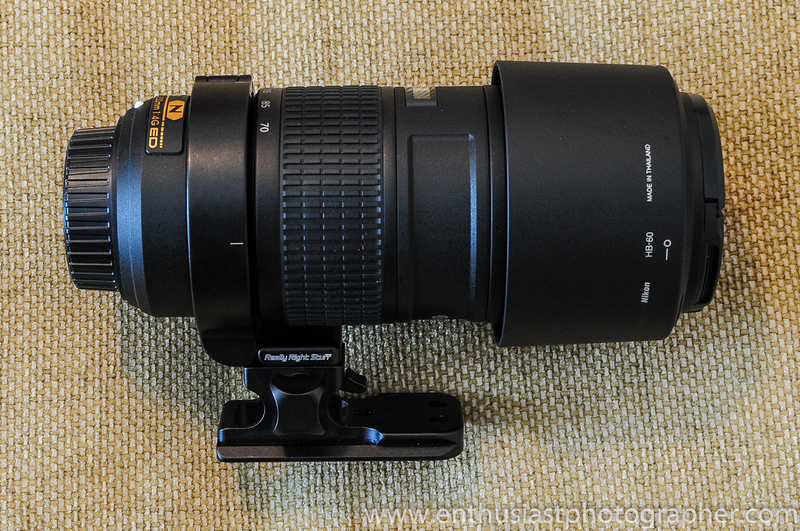 But for a 300mm prime, the 70-200 pro zooms or anything smaller, the DDH-02 is easily up to the task. In combination, these two products carry very well due to their light weight, and handle seamlessly. 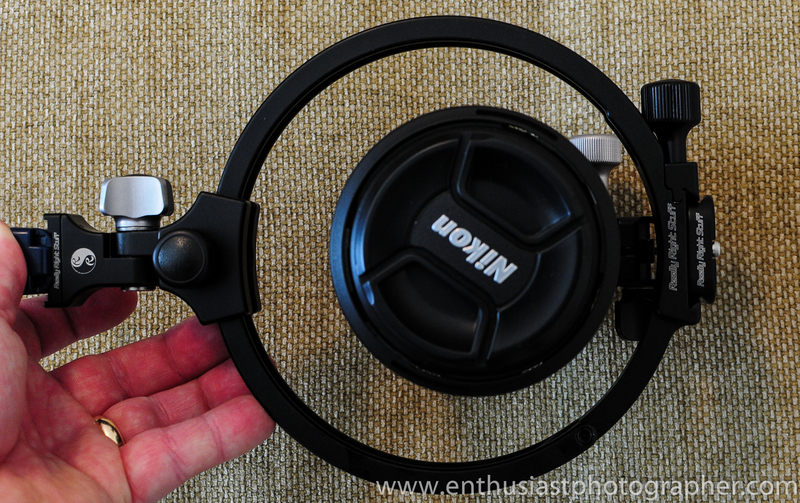 They also make very efficient use of space without big knobs sticking out – another big plus in my crowded bag. What can I say? Both products are built entirely out of aircraft-grade aluminum, mostly anodized and clear laser engraving for use shooting panoramas. Movement is smooth, easy and positive, with a nice bit of resistance and no slop. No plastic anywhere. Just like my XB-44, I don’t sense any corner-cutting here. Quality is excellent. The DT-01 sells for $112 at B&H and Amazon, while the DDH-02 lists for $99. That puts you about $100 less than the comparable RRS panning setup with less weight and arguably better handling. I handled the DT-01 and the Sirui L-10X head within minutes of each other at CES and came away with “Pro” impressions of Sunwayfoto and “Consumer” impressions of Sirui. Comparing the models that come with the standard screw clamp, the Sirui comes in about $47 cheaper, but isn’t all-metal, has some exposed bolts and generally just seems more of a consumer-grade RRS knockoff. That isn’t to say it isn’t a decent product, especially for the occasional users. Of course, Sirui has nothing like the DDH-02, and that is the piece that sells the whole setup for me. 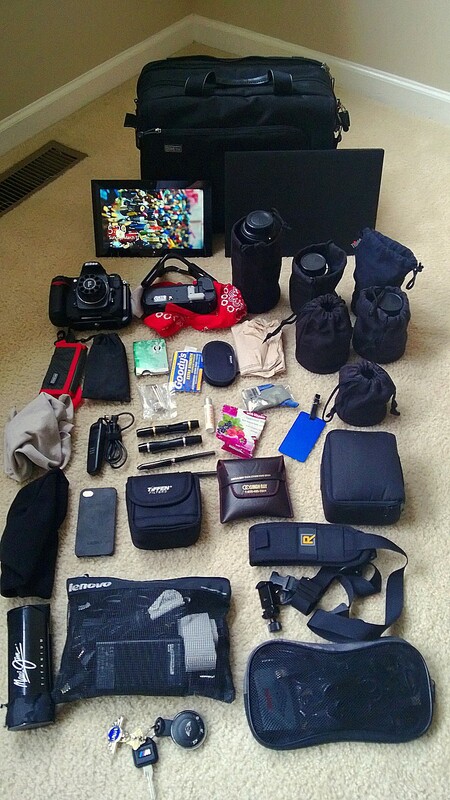 For this Enthusiast Photographer, that makes the choice pretty easy – I like pro-grade at an affordable price. I noticed several ball heads were now offered bundled with the DDH-02. I’ve been very impressed with the products I’ve seen from Sunwayfoto. They are clearly shooting for RRS quality at a lower price. They handle well and it is clear they aren’t doing knock-offs – they are designing with real-world use in mind and offering some great features. I really appreciate that I was offered the opportunity to look at the DDH-01 as well. 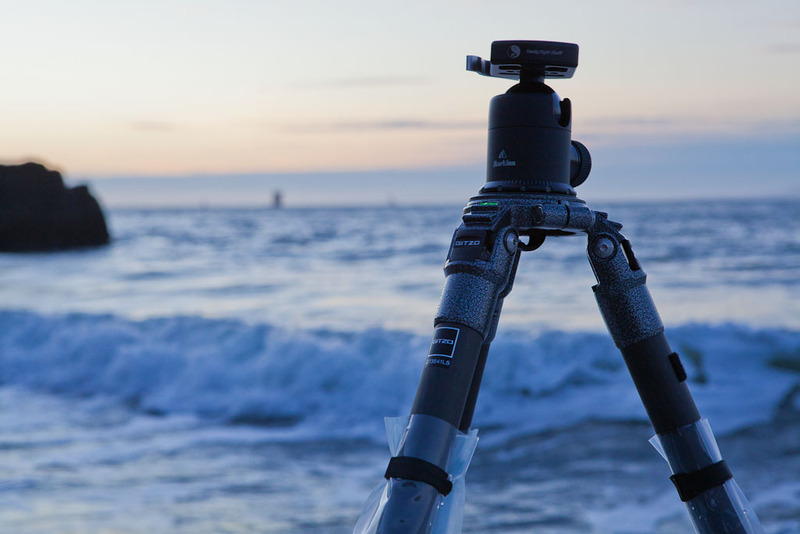 It is clearly a product that is better suited to use with some of the more exotic head/gimbal setups as well as traditional ball heads for panoramas. I may do a separate review on it at some point, or loan it to a buddy who does lots of pano-shooting and get some thoughts from him. If you have a monopod and don’t have a setup like this, I think you’ll be delighted with how much easier it is to shoot with your monopod. 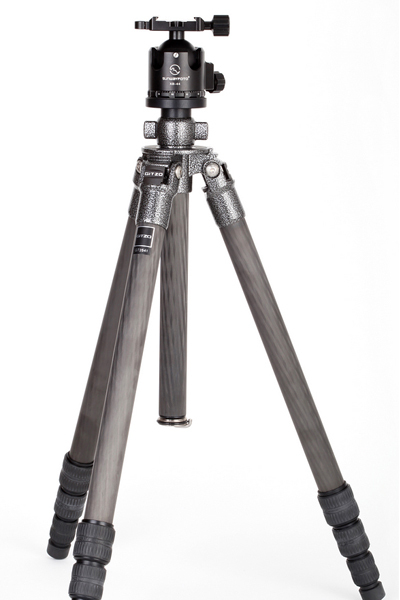 If you’re getting a monopod, I’d highly recommend the DT-01. 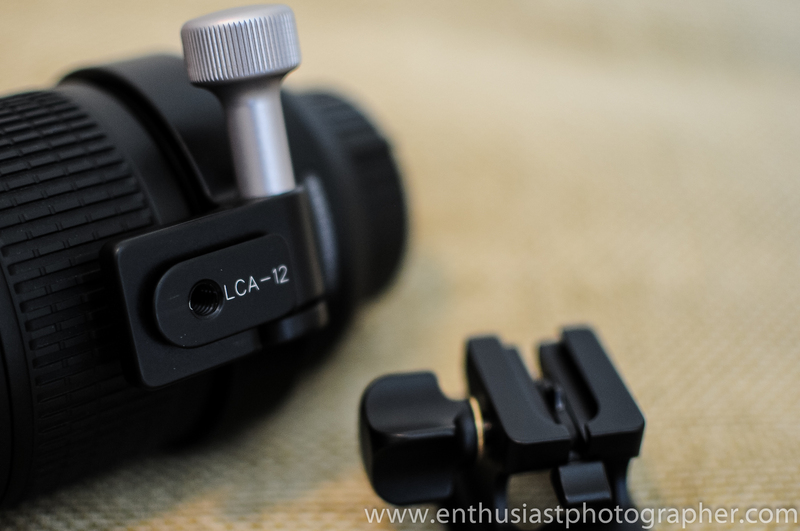 Folks who have adopted the Arca-swiss system who have long lenses with feet will love how easy the DDH-2 makes switching between body and lens-mounted plates. Thoughtful engineering at a competitive price is a winning combination for me, and I’m looking forward to many years of use from the DT-01 and the DDH-02. Thanks for visiting Enthusiast Photographer! For those of you coming from search engines or links, the post below was my “First Look” review of the DT-01 and DDH-02 setup. 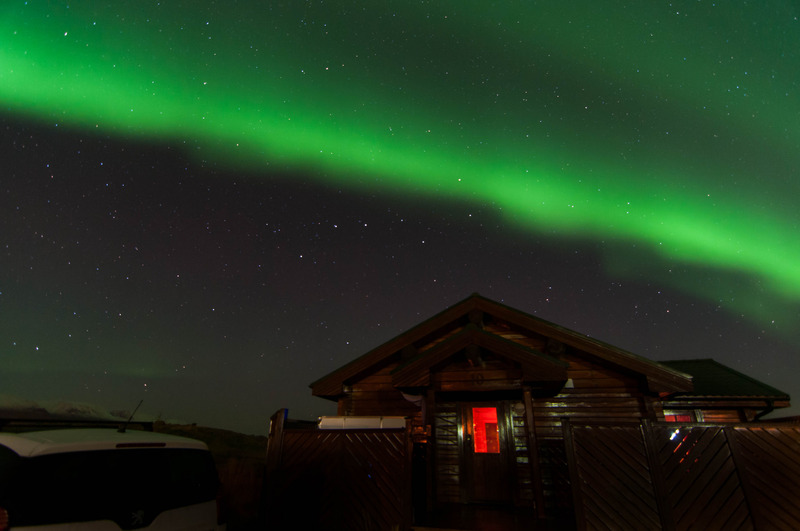 Since then, I’ve taken it all over the world and written a full review. Please feel free to read the post below, but click the link at the bottom for the complete story. 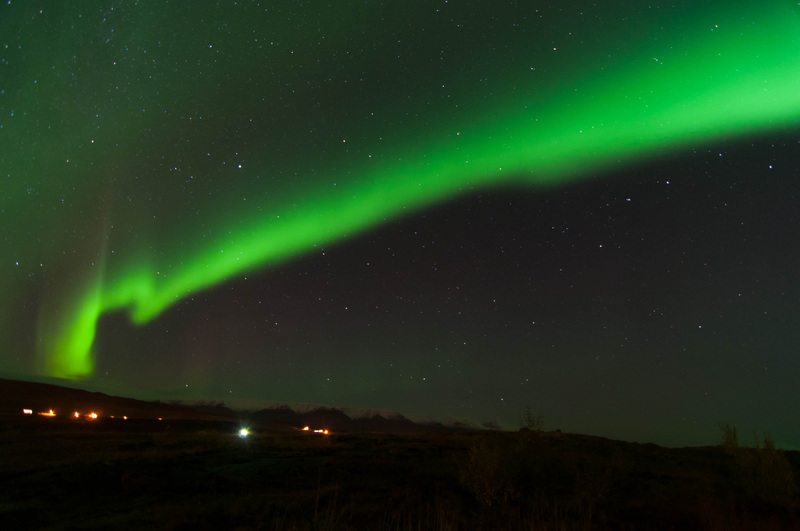 Also, feel free to follow the blog, “Like” Enthusiast Photographer on Facebook or follow on Twitter if you’d like to join me on my photography journey or just want to read something different once in a while. It all started during some correspondence about my XB-44 ball head review. I mentioned to Winnie that I was going to be taking two trips soon, one to Europe and one to Asia, and was going to buy a monopod to use while traveling. Since my 80-200 plate has a different orientation than the L-bracket on my D90, I was looking for a solution that I could quickly change to accommodate the orientation of whatever I was using. Winnie suggested their DT-01 monopod head and the DDH-02 plate. I’d noticed that head previously (it was on display when I visited their booth at CES) and the DDH-01, which looks similar to the RRS MH-02 setup – a monopod head with an indexing clamp. Honestly, when I looked at the DDH-02 on their website, I thought it seemed too small and a little delicate to handle my 80-200 on the monopod. Winnie surprised me when she suggested that I have a look at the head with three clamps – the standard DDC-50 screw-clamp, the DDH-01 I’d been looking at and the DDH-02 she had recommended. The package arrived the other day, and I just had a chance to try out the various configurations. I learned a lesson: Listen to the people who do it for a living. While I can’t fully speak to the handling and other features yet, I can say this: if you want something more than the standard screw-clamp, the DDH-02 is the way to go. 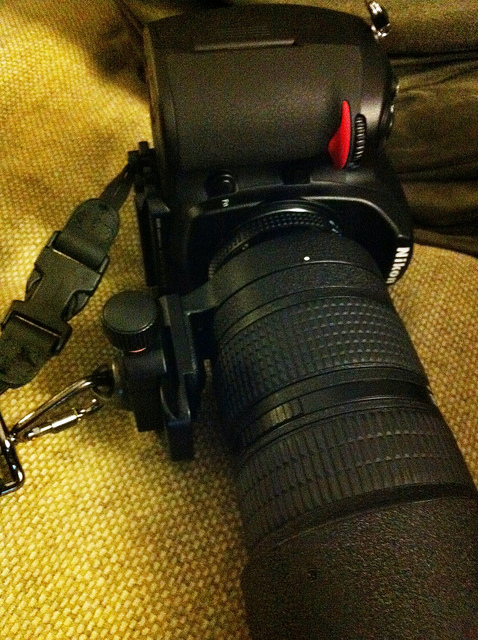 When I fit the larger and more substantial DDH-01 on the monopod head, the whole setup is pretty bulky. This is clearly the reason Sunwayfoto developed the DDH-02 and why Winnie was patiently suggesting that pairing to me. 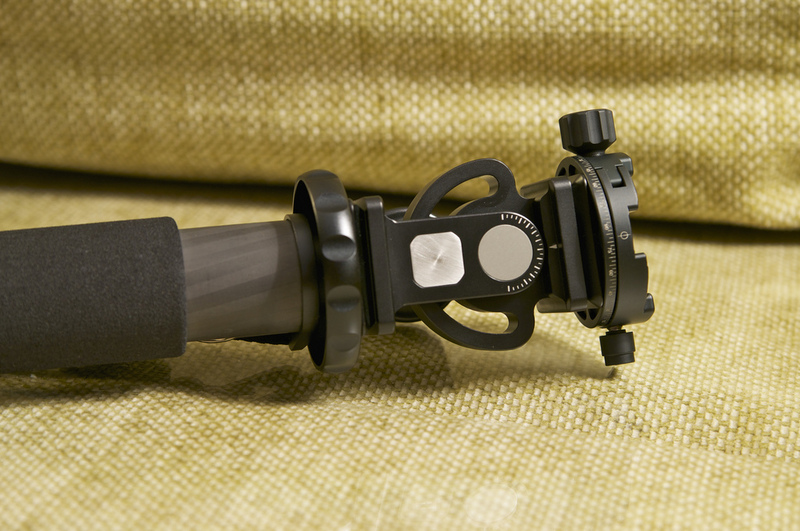 The DDH-01 panning clamp mounted to the DT-01 Monopod head. I need to try to see if one of the standard screws fits directly to the head, but it doesn’t appear to. Mounting it using the standard clamp worked fine, but the package is bulky. Last but not least, the svelte and effective DDH-02 panning clamp. 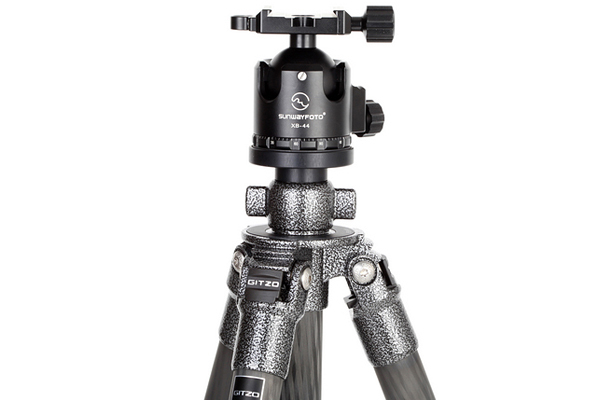 The DT-01 bears some similarity to the RRS monopod head. They both have a pendulum design and an Arca-compatible dovetail at the base of the head. Both are all-metal and stoutly made. 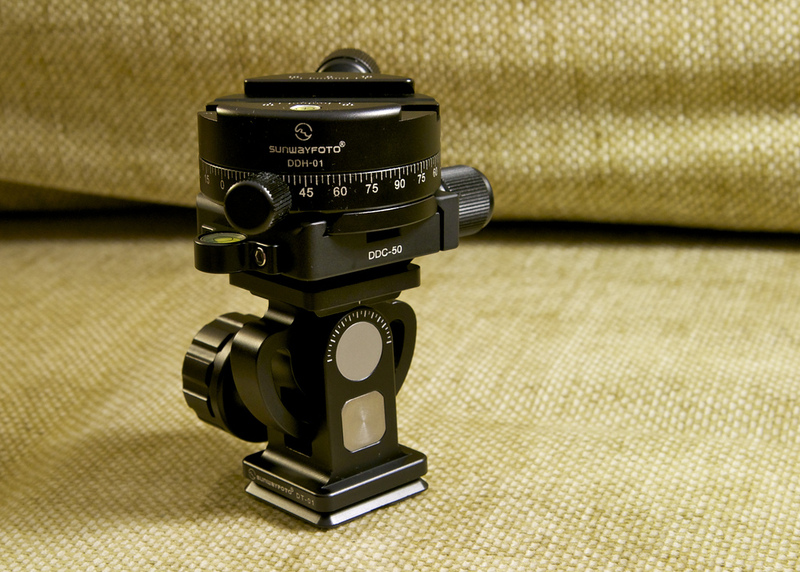 Sunwayfoto chose a single-arm base, where RRS has two outboard rails for the swivel base of the head. 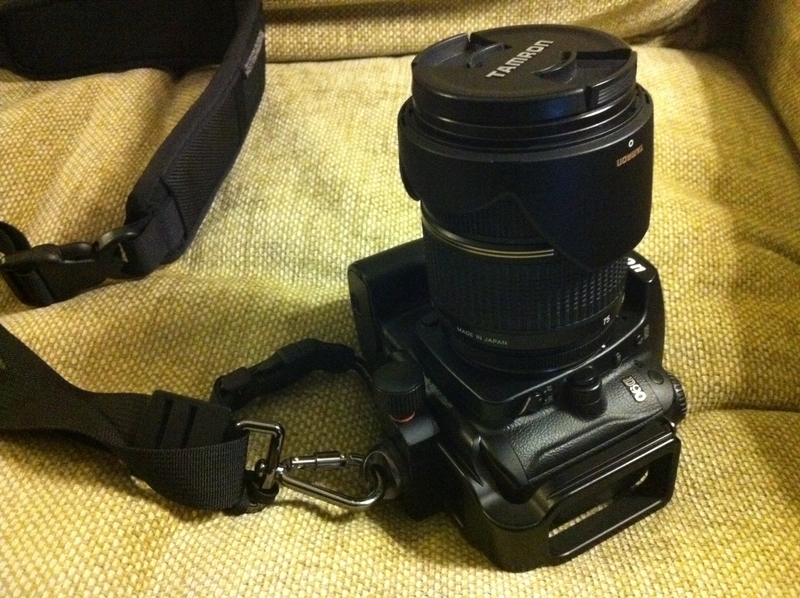 The Sunwayfoto design appears to be beefier – my guess is they both perform well. 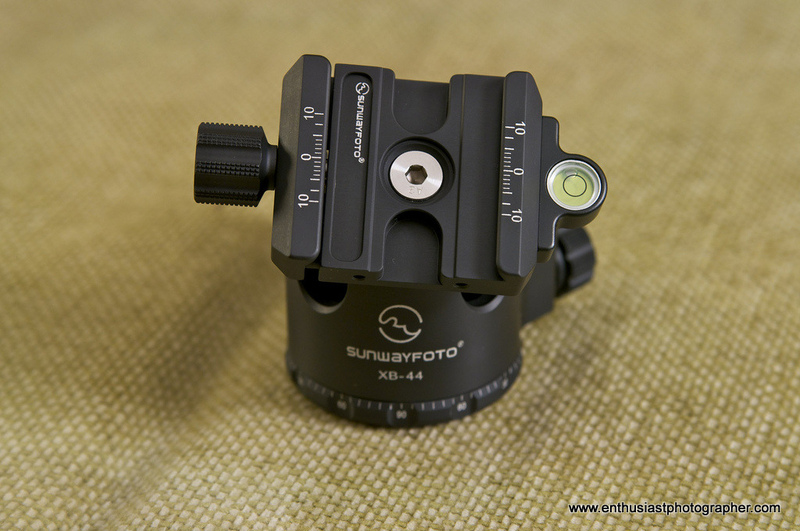 The Sunwayfoto DDH-01 is a panning clamp that offers similar function to the RRS PCL-1 Panning Clamp. I thought that made a nice choice to rotate the clamp orientation for use with my 80-200. 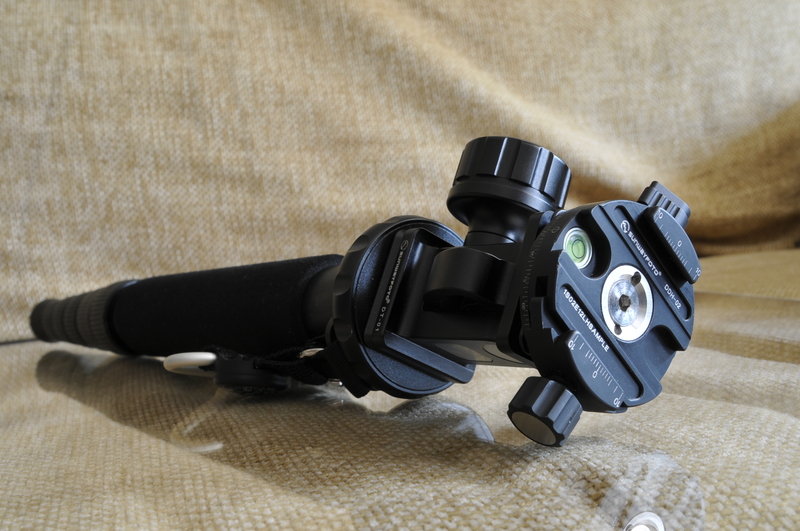 As I mentioned previously, it is a fairly substantial clamp, and even directly attached to the monopod it is over-large for good ease of use. 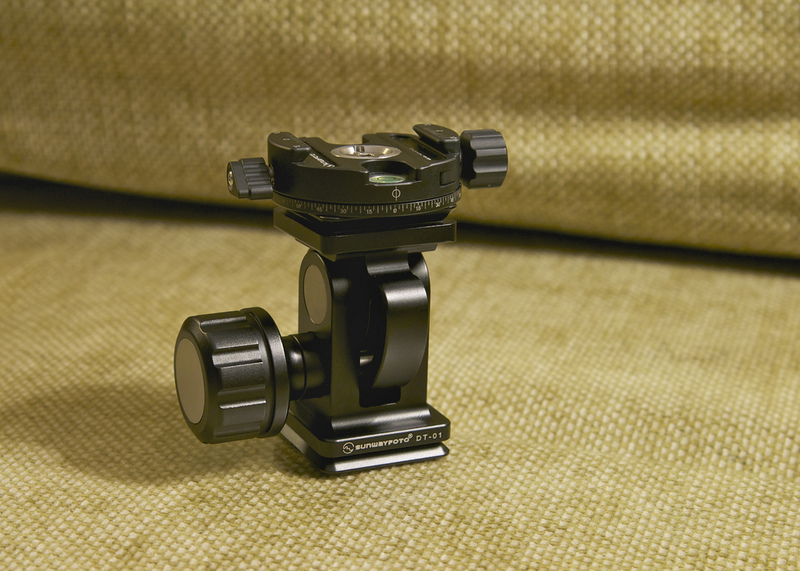 It is a terrific solution to use when shooting panoramic shots on your ball-head, however, and the included dovetail makes using it very simple (you can add a dovetail to the RRS PCL-1 for $30). It is small, clamps very securely and has a nifty flip-lever that allows it to rotate or pan in 360°. As soon as I’d mounted it on the head, I knew I had the right solution. Update: My full review on the DDH-02 and the DT-01 can be found here. Both products are now available at B&H and Amazon. UPDATE: I’ve completed a full review! See it by clicking here. Enjoy! Note/Disclaimer: You might have noticed these products have “SAMPLE” serial numbers. As with the XB-44, these were provided to me by Sunwayfoto for review at no cost. 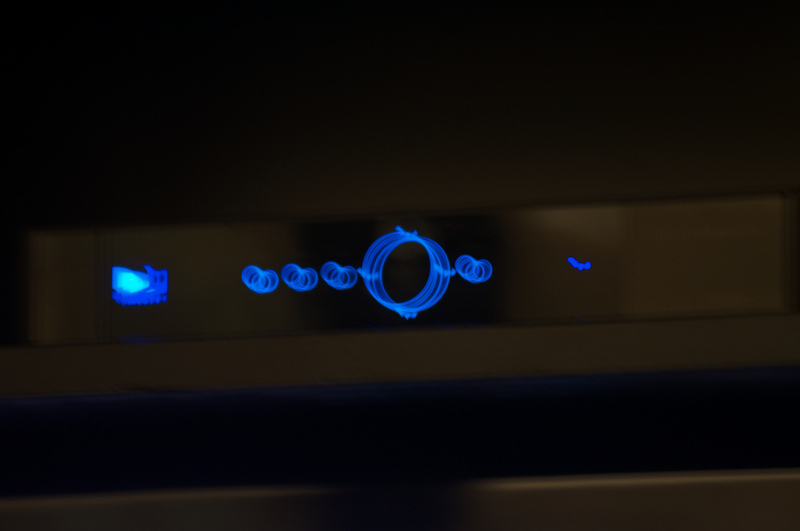 If you’ve read my blog, I hope you believe that I’m a very straightforward guy – I say what I think, I admit what I don’t know and I’d never let anything sway my review of a product: It works or it doesn’t. I like it or I don’t. I hate fiddly stuff and poor design, and I’ll never hold back on those issues. I always try to be fair, whichever way that cuts. 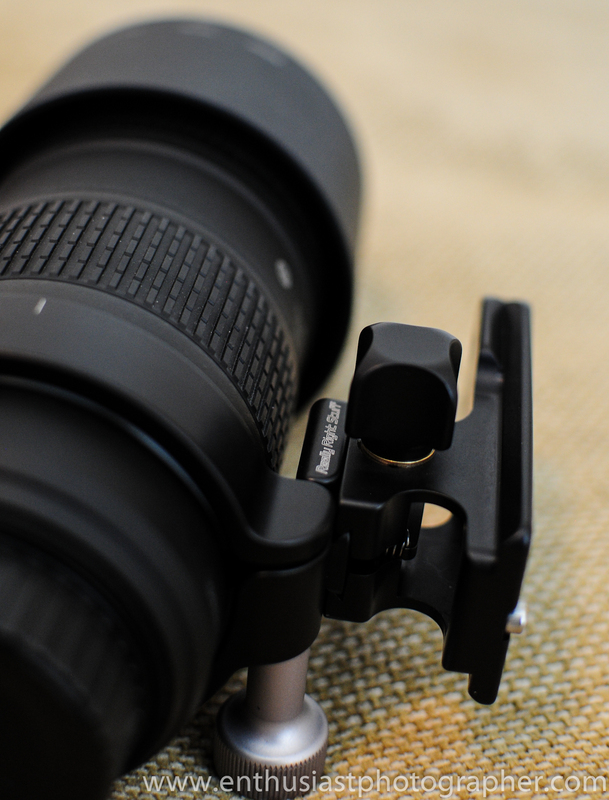 One of the most-viewed posts on Enthusiast Photographer is about my solution to the dilemma of using the Black Rapid Strap with the Arca-Swiss plate system, in my case my RRS-L-bracket on my Nikon D90. Note that I’ve added a safety strap in case of some kind of strap/clamp failure (somewhat unlikely) or in the event I’m a forgetful doofus (somewhat likely). Note I’ve attached my “safety strap” to the D-ring. That is the most likely of the very unlikely failure points on the strap. 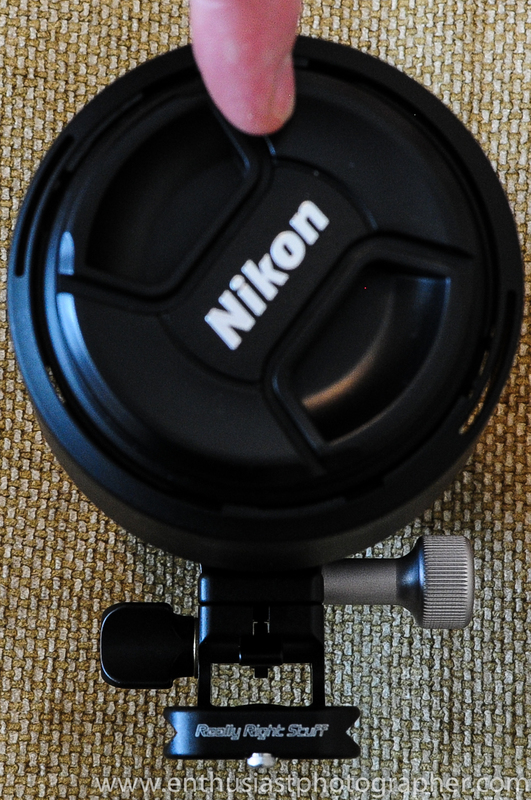 On the various forums I frequent, there is invariably a mention of a series of e-mails Bosstail (a Black Rapid competitor) has on their website from Nikon and Canon support regarding the use of the tripod mount for attaching the strap. Predictably enough, they are negative on the idea. Personally, I think that information from Bosstrap is disingenuous – Given the popularity of these types of straps, you’d think there would be an official word from Nikon/Canon, etc. on this matter, especially if there was risk to the equipment. As best I can tell, there is no official word or warning from Nikon or Canon on their website or in their user manuals referring to the use of straps in the tripod mount. No – I’m not an engineer, but I don’t think the forces applied to the mount are significant compared to use with a tripod plate/clamp/head setup. It seems to me that a 70-300 lens (with no foot) mounted on a tripod would put significantly more stress on the mount than the lens hanging down on a Black Rapid or similar strap. I don’t think that is the common use case anyway – the biggest lens I’m using when mount to the BR strap to the tripod mount is my 18-200. When I’m running around with my 80-200, I’m using the mount on the foot for the strap, which I’d think would have the same benefit on the strap as it does on the tripod – more balance and less stress. The massive 80-200 set and ready to go. 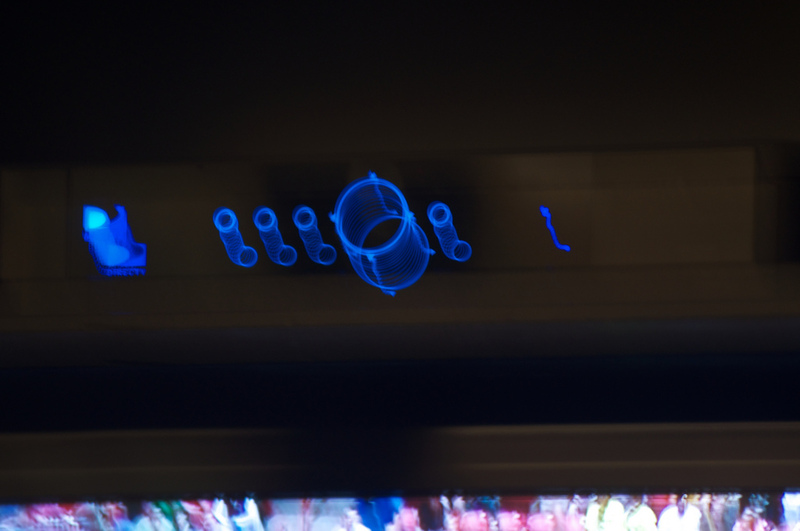 I put the knob on the right side of the lens to keep it out of the way. Unless I see an official warning from the camera OEM’s, I’m not going to worry about it. A copy/paste of e-mails (that might be legit, but sound more like CYA than policy) and 2nd-hand statements from “Nikon staff” aren’t very compelling arguments. Additionally, it seems like Black Rapid and similar guys would be opening themselves up to lawsuits if their design inflicted damage on the camera. Lastly, on FredMiranda and Photograhy-on-the-Net (POTN) (and others) I’ve seen many, many comments from working pros who have been using these straps with big lenses and flashes for multiple years and reported no issues with damage to the camera base. Net: I think Bosstrap is being a little shady and using FUD (Fear, Uncertainty and Doubt) to drive sales. Show documented, engineering-based proof or publicly official statements from the camera manufacturers, not anonymous e-mails from some pimply-faced Nikon support tech trying to keep his job and nebulous “Nikon staff”. If you can’t do that, innovate, engineer, market and compete fairly. FUD is a sign of the weak who can’t compete with a better solution. I’d really like to see something official from Nikon/Canon on their site and in their user guides. I think my use of the Arca-clamp on the L-bracket further mitigates any concerns by spreading the weight and stress beyond just the screw-point of the tripod mount, but I doubt it makes any real-world difference. 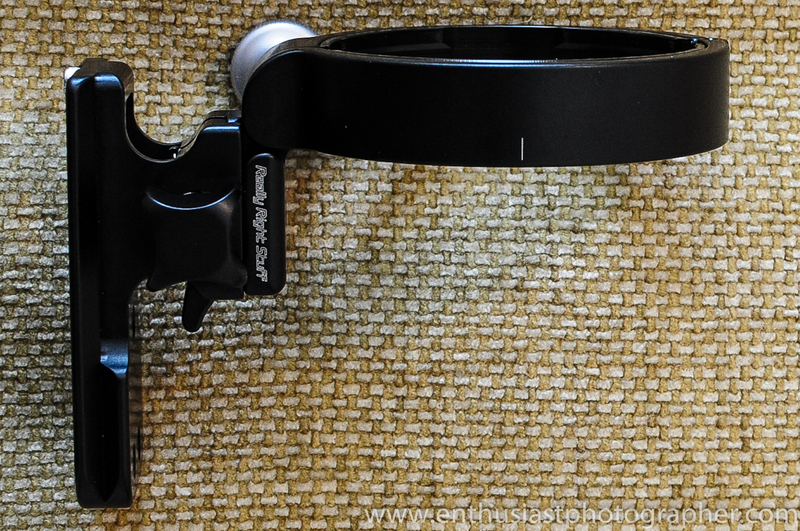 I strongly doubt there is an issue for anyone using the Black Rapid FastnR in their tripod mount (the standard way if your tripod mount doesn’t live on your camera). I do wish Nikon and Canon would declare one way or the other. In the meantime, I love my Black Rapid RS-7! 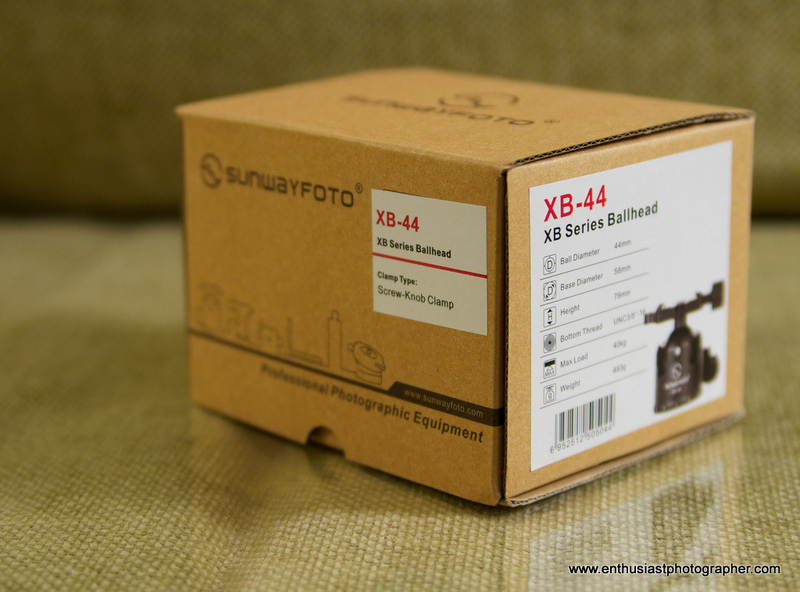 I wanted to get a few hours under my belt shooting with the Sunwayfoto XB-44 before I put a review out there, so I appreciate the patience of the folks who contacted me about when I’d write it up. So many comparisons and reviews are done on paper rather than from use in the field that I wonder if people who read them are getting good information – how can Ken Rockwell declare a new camera “the best *insert-brand-name-here* SLR ever” when he has only looked at it on paper?? But I digress. 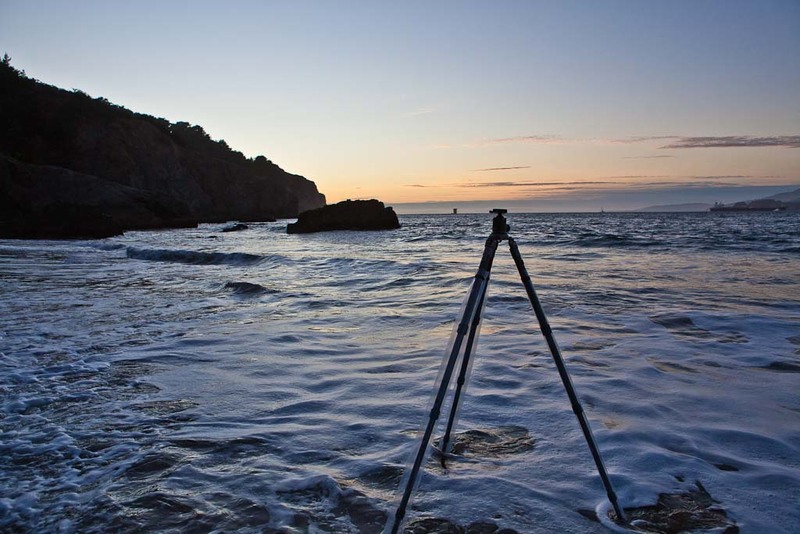 In my limited experience, photography products are highly susceptible to the “looks great on paper, but…” syndrome – what good are specs if they are poorly designed and/or implemented? What fun is it to get a great price on something that isn’t made with quality and won’t last as long as you want? On paper, the XB-44 looks pretty interesting – design clearly inspired by the Arca/Markins heads but just as clearly a different overall direction: Dual drop notches similar to my Really Right Stuff BH-40. 88-pound capacity. 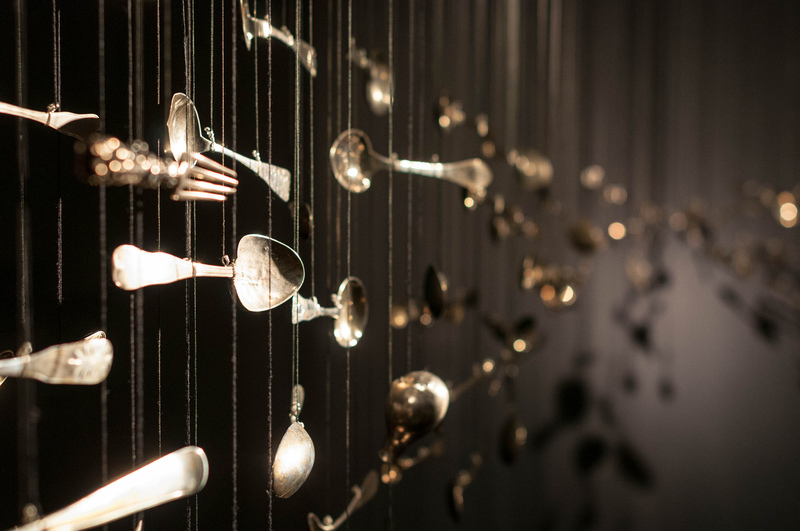 All-metal construction. Low-profile design intended for the lowest center of gravity and stability. An included screw-type clamp with a bubble level that can be mounted in multiple locations on the clamp. All for $299 at B&H. But how does it work in real life? In short: really well! A look at the included plate with a screw-clamp and a bubble level. The plate has laser-engraved markings and is notched for the safety screw in the plate. The head will, of course, accept other plates. A look at the knobs – no rubber here, just raw, meaty, knurled goodness. Knob placement and function is very good. Fully upright, with a good look at the tension adjustment integrated into the main knob. 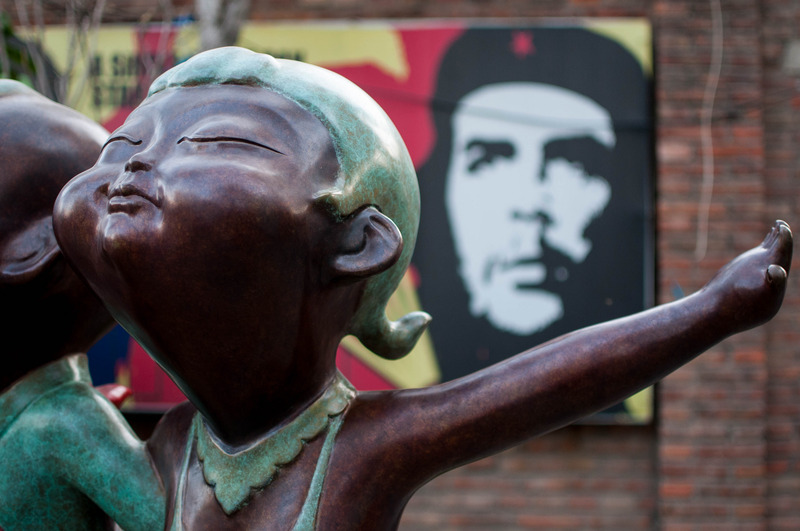 Disclaimer: I didn’t purchase this head – it was given to me for review by Sunwayfoto. 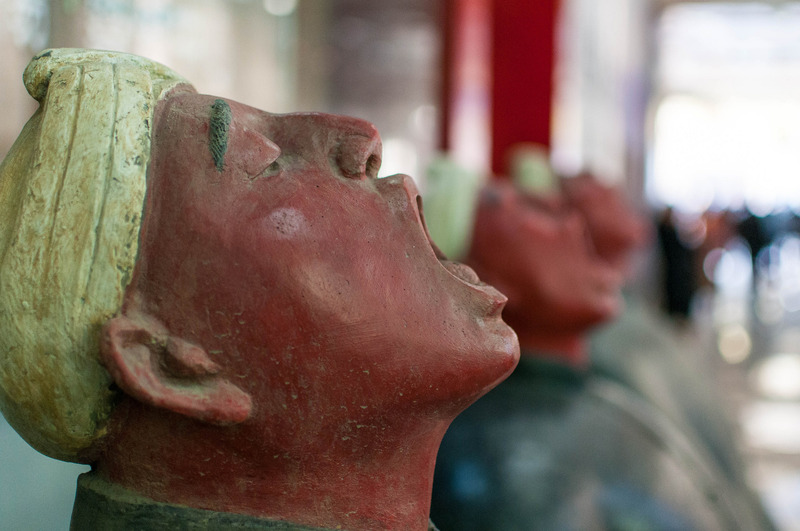 I responded to a request by Sunwayfoto on one of my forums for volunteers to review the heads. The unit I have is marked SAMPLE in the serial number. If you’ve read my other reviews, you know how picky I am about anything that is fiddly: I can’t stand it, and getting something free won’t endear me to any product. I’m not a talented enough photographer to overcome distractions created by poor products or bad design. I just won’t tolerate anything that gets in the way of my photographs, so I hope you’ll trust that my opinions here are entirely straightforward, honest and unbiased. On to the rest of the review. 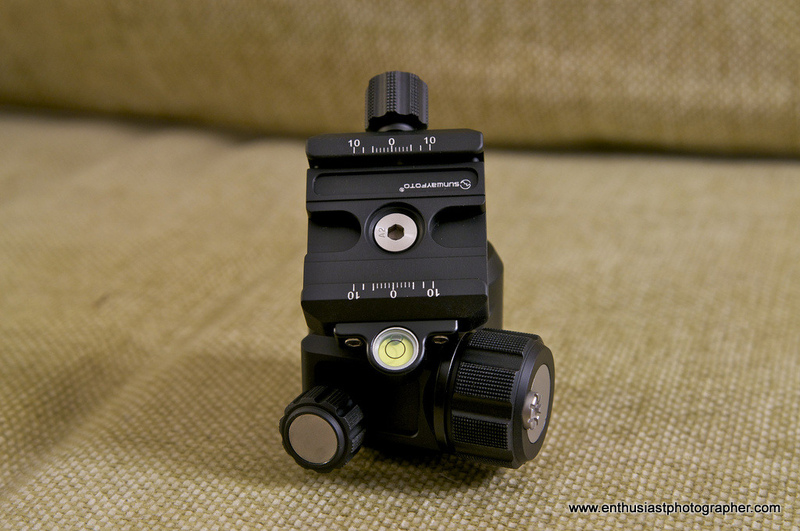 I took my RRS BH-40 off my Gitzo 2531 and mounted the XB-44. First problem: there were no included hex keys. I still had the keys that came with my BH-40 and 2531, so it wasn’t a huge deal for me, but it seems presumptive that the customer will have one. Second problem: no user manual or instructions. I contacted Sunwayfoto and learned that the user manual was still under development when mine was shipped (so there will be one), but no hex keys will be included. Not a big deal for me, but something to know. I played around with it a bit in my den, but the real test was taking it to my favorite car show for a four-day weekend. I spent a fair bit of time taking pictures, and with that crowd you often don’t get second chances – everything had to be quick! So how did it perform? In a word, flawlessly. I really want equipment to disappear as much as possible, and the Sunwayfoto XB-44 didn’t disappoint. 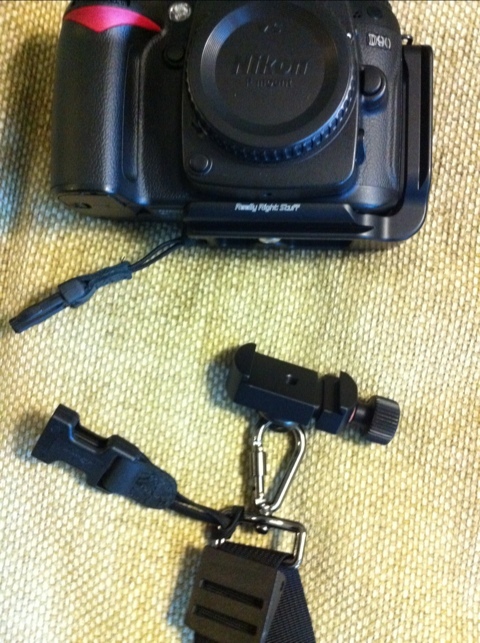 I was really surprised how much I liked the screw-type clamp since I’m used to my RRS LR-II with the quick release. 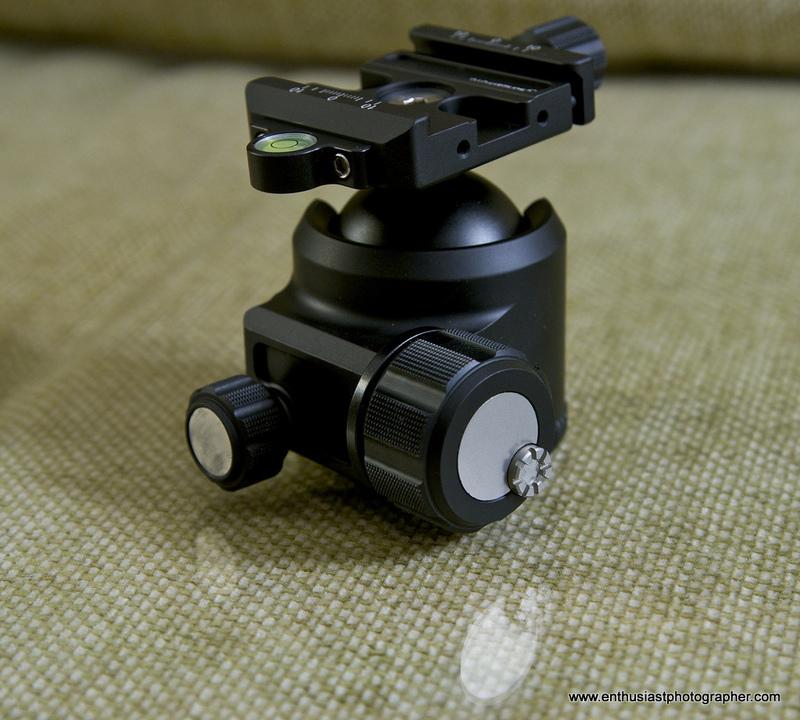 The compact design is also nice – it looks very tidy on top of my tripod and makes packing it and lugging it around a little easier. The knob placement is very natural and the knurling ensures positive contact. Where I’ve liked the flap-paddle design of the RRS BH-40 well enough, the knob on the XB-44 is just plain out of the way, literally and figuratively – I liked it instantly. The tension adjustment knob works as expected, and the progressive tightening of the main knob is smooth. The movement and action of the head feels just right. The tension/drag adjustment is built into the main knob. It operates fairly well with the tip of a finger, but can be over-tightened to the point it is pretty hard to move. I think the directions would have helped me here. It didn’t bother me too much since it seems to pretty much be “set and forget”, and I like how little real estate it takes up. I expect that once I get used to it I’ll like it fine, but it is the only thing that made the “fiddly” dog bark at all. The XB-44 ball uses an elliptical design that reduces the “flop” that spherical balls have when you reduce the tension, but the movement is extremely smooth. If I understand correctly, the only other major ball-head company that uses an elliptical design is Arca. All I can say is I liked how it handles a lot. This includes the panning base, which glides nicely while keeping reasonable amount of tension – no slop at all. 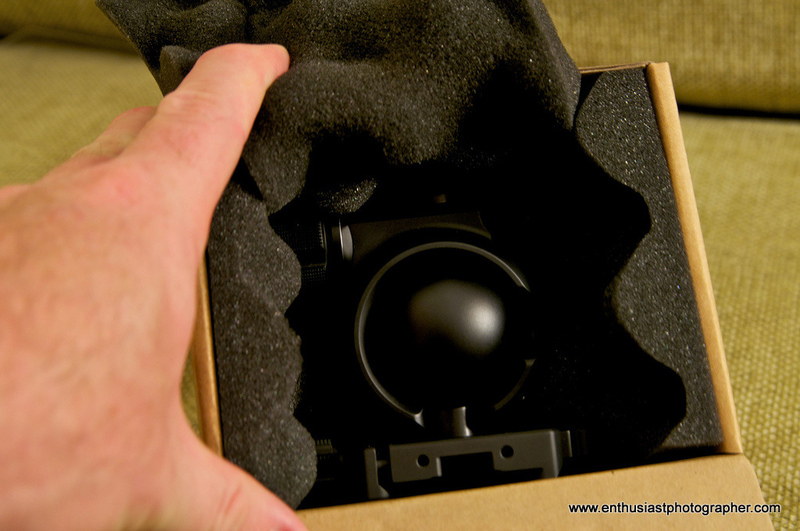 The panning knob, like all the knobs, is a “captive” design, which means it won’t fall out if you unscrew it too far. 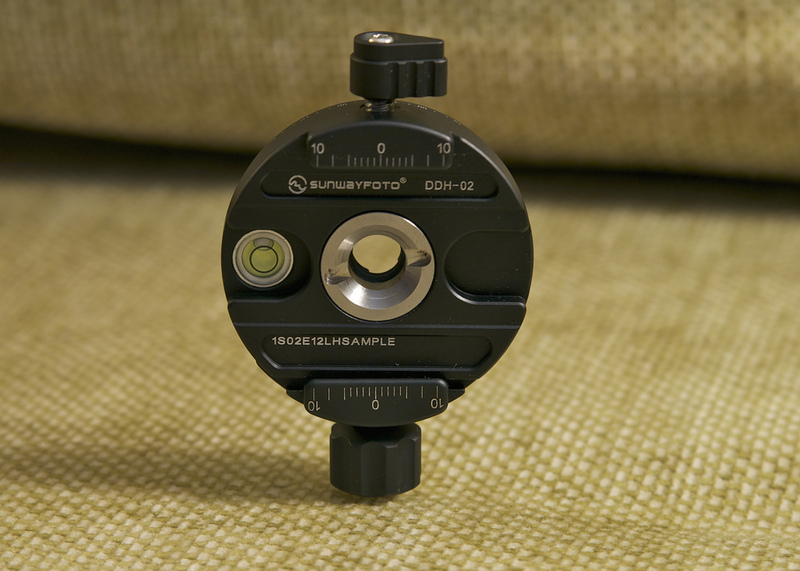 The panning base is marked every 5 degrees with the same laser etching found on the plate, and has a ridged design that I assume is intended to ensure a secure grip when mounting to the tripod. 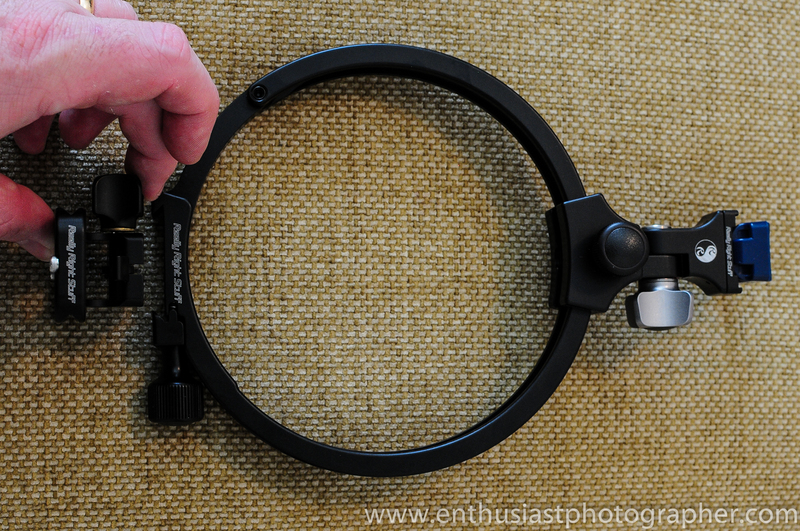 Two drop notches give you a great deal of flexibility for portrait shooting as well as extreme up and down shots. One of the great thing about the Arca-Swiss plate standard is the availability of L-brackets for virtually any camera. This eliminates the need for the drop notch for portrait, but the notches are still very useful for extreme composition up and down. Like many heads (including my RRS BH-40) you can run into clearance issues in portrait mode – where the head contacts the base of the tripod. The ability to move the bubble level to any of three sides of the plate would come in very handy here. 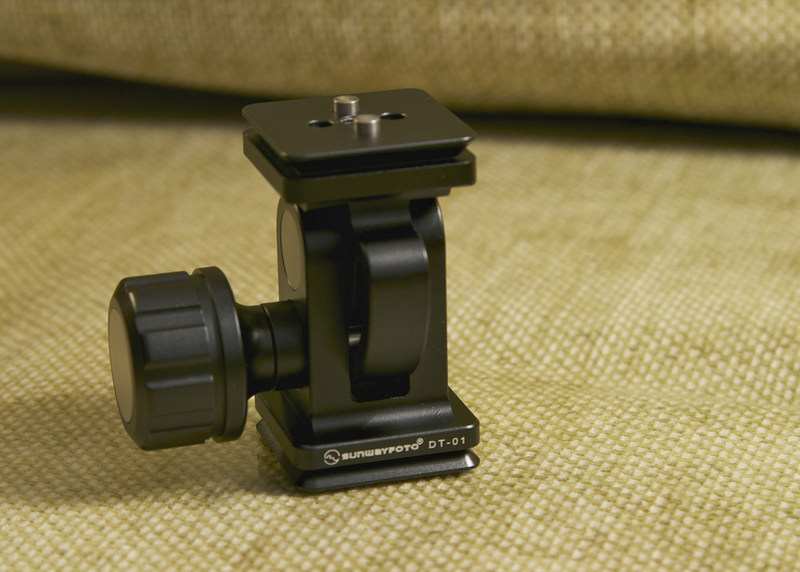 Personally, I’m a huge fan of my L-bracket – it makes switching from landscape mode to portrait seamless, avoids any issues with clearance and is a more more stable way to mount the camera since the weight stays centered over the legs. The load rating is specified at 88 pounds, which sounds very impressive. Unfortunately, there isn’t an industry-standard way to measure load capacity that I’m aware of. I can say that with my massive 80-200 f/2.8 lens mounted to my D90 that the camera felt very stable. I think a 300mm prime could be used in this head, but if you use a lens like that or larger on a routine bases, I’d suggest a look at the big-brother model from Sunwayfoto, the XB-52. I’m thinking of some “unfair” tests to run on the XB-44 vs. the BH-40 (for example, running my big 80-200 from the base as opposed to the foot on both and seeing which maintains its composure). Any recommendations on that would be welcome! In summary, I liked the Sunwayfoto XB-44 a lot. Nothing on this head feels cheap. I don’t see any corners cut. 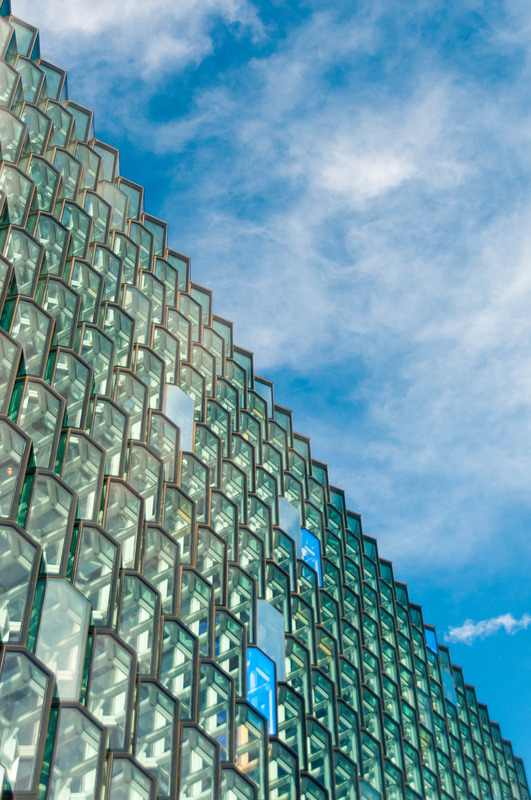 I like the fact that is is a unique design overall – there are lots of elements incorporated from other heads in the industry, but in total the design and function stands out against most designs. At $299, nothing touches it for overall functionality, ease of use, load capacity, excellent handing and very good design. I can’t fault anyone for buying RRS – they make terrific products, but every dollar counts and if you want a premium ball head while saving a big chunk of money toward that prime lens you want, it is a fine choice. Thoughts? Questions? Please feel free to leave any comments! 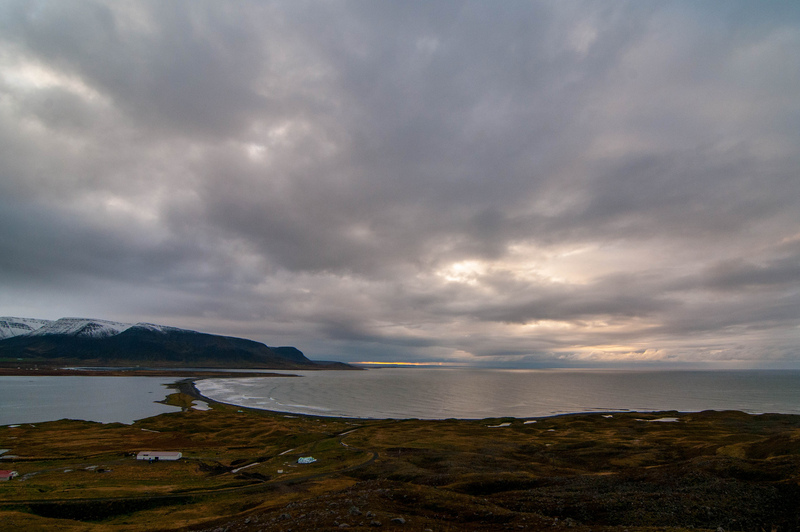 Tokina 11-16 @ 16mm, f/2.8 - heavily cropped (approx 300%). So…now I know why some of my hand-held shots aren’t as sharp as I’d like – my technique is terrible. 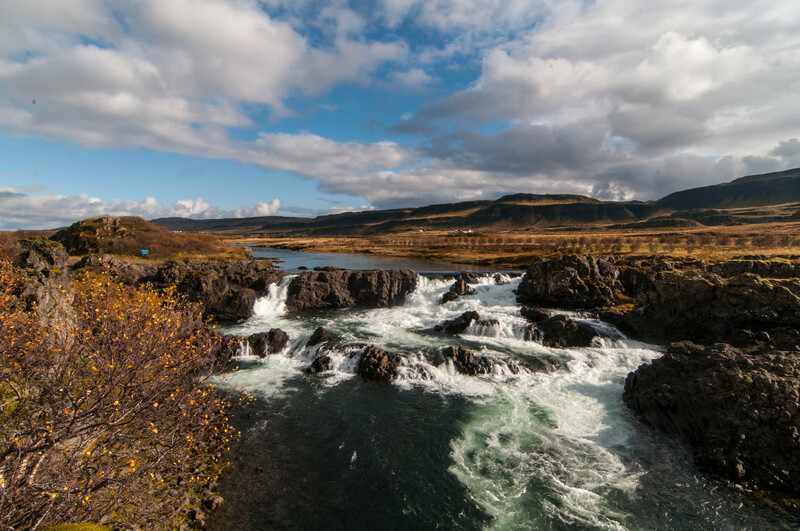 I have always tried to be smooth as I pressed the shutter, rolling my finger across the button (I do recall this from my first read of Scott Kelby’s Digital Photography series, but this made it pretty clear I was bouncing the camera. It was clear after a few minutes that the biggest culprit was not pressing the button, but actually releasing it! After a few minutes of trial and error, I found a style that made a big difference. New technique with Tokina 11-16 @ 16mm, same crop, etc. Better, right? The heavy crop and very low light don’t make this very sharp, but it certainly illustrates how much less movement is in the release. What about the big, heavy 80-200? New technique with Nikon 80-200 @ 200mm, just re-sized. I’ve still got room for improvement here, but I was still in my Al Bundy couch pose and the 80-200 really is a big piece of glass. Net: the shake is reduced by at least 2/3, and I’d say good posture and a little more focus on my hand-holding technique would give better results – it ain’t bad for a hand-held shutter speed of 1/2 with a station wagon strapped to the front of my D90! Realistic shutter speeds would help, too. I’m sure there are photographers reading this and saying “Well duh!” and I’m hoping that when I re-read my Scott Kelby there isn’t a completely obvious tip on this. 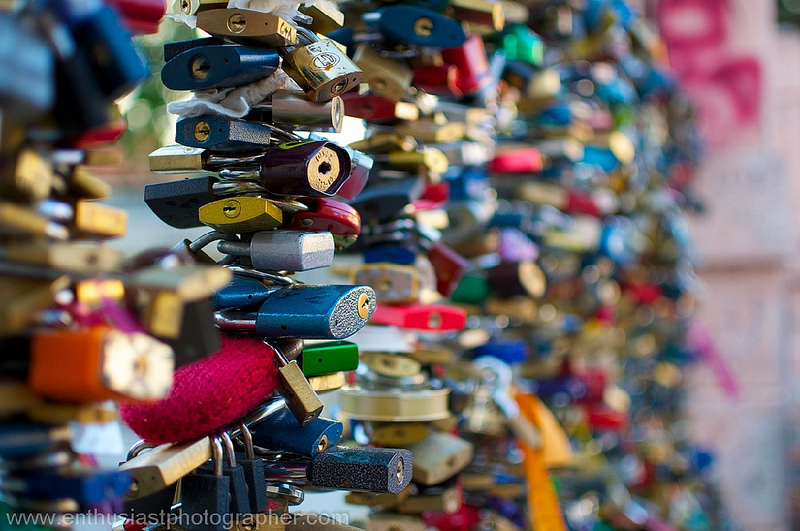 In the meantime, I hope it is helpful to other Enthusiast Photographers. For me, I’ll be doing a little more research and reading on the basics of shutter and hand-holding techniques!